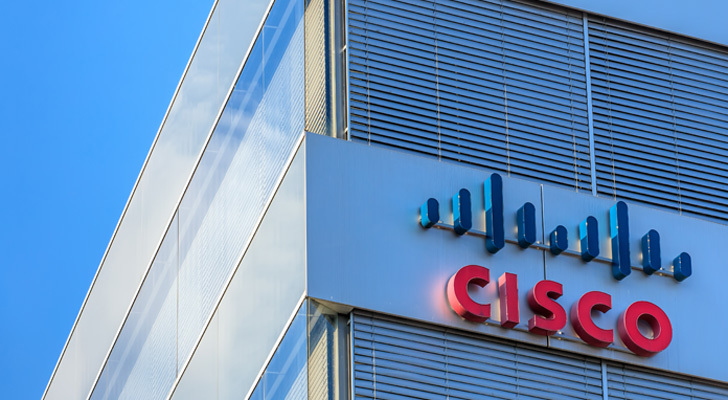 During the past few months, Cisco Systems, Inc. (NASDAQ:CSCO) certainly has been volatile, a has much of the tech sector. Just take a look at the charts for big-names like Facebook, Inc. (NASDAQ:FB), Amazon.com, Inc. (NASDAQ:AMZN) and Oracle Corporation (NYSE:ORCL). Yet Cisco stock has still been able to manage through all this fairly well. For the year so far, the shares are up about 15% and 36% for the past 12 months. Now it’s reasonable for investors to be skeptical about CSCO stock anyway. Let’s face it, the company has only recently been able to generate positive growth on the top-line. What’s more, the competitive environment continues to get tougher, especially for the core networking business. CSCO must fight against operators like Juniper Networks, Inc. (NYSE:JNPR), Hewlett Packard Enterprise Co (NYSE:HPE), Arista Networks Inc (NYSE:ANET) and Huawei. There is even emerging competition from some of CSCO’s own customers like Alphabet Inc (NASDAQ:GOOG, NASDAQ:GOOGL) and FB! And yes, the competition has taken a toll. Consider that the company’s share of the global ethernet switching marketing has been declining, going from 63% in 2013 to 53% in 2017. Even with the issues, I still think Cisco stock is worth considering. The fact is that the company has been engaged in a major transformation involving major changes in the technology and the business model. For example, Cisco has been aggressively moving to a SaaS approach, which involves charging ongoing subscriptions. Customers like this because it does not mean hefty upfront fees. Rather, the fees are tied to the usage. So if the technology proves to not be useful, a customer can simply cancel the subscription. But there are key advantages for technology vendors. Subscriptions provide more stability with revenues and also allow for incentives to keep innovating the product, in order to lower the churn rate. The SaaS approach is truly a win-win. So it is no surprise that many top tech operators use it, like salesforce.com, inc. (NYSE:CRM). Now another critical part of the transformation that which should boost CSCO stock is the retooling of the networking technology. The focus has been to create “intuitive” systems, which allow for customization and programmability. There is also more built-in security features and the leveraging of machine learning as well as advanced analytics. At the heart of all this is the Catalyst 9000. And yes, the traction has been considerable. During the latest quarter, this system saw the customer base more than double to 3,100. It’s actually the fastes product launch in Cisco’s history. Cisco continues to crank out substantial cash flows. For the latest quarter, Cisco stock came to $4.1 billion, up 8% on a year-over-year basis. Cisco stock also sports an attractive dividend, which is currently at 3.1% (there was a 14% increase in the quarterly payout). Oh, and the company approved a whopping $25 billion buyback program. In the meantime, there will be a nice boost from the tax reform bill. Keep in mind that the company has $67 billion in foreign accounts. In other words, there should be no trouble in continuing to raise dividends and pursuing an aggressive M&A program. And finally, even with the runup in Cisco stock, the valuation is still reasonable, with the forward price-to-earnings ratio at 15X. All in all, there is room on the upside, especially in light of the ongoing transformation of the company and the positive secular trends. Article printed from InvestorPlace Media, https://investorplace.com/2018/04/cisco-stock-bull-case/.